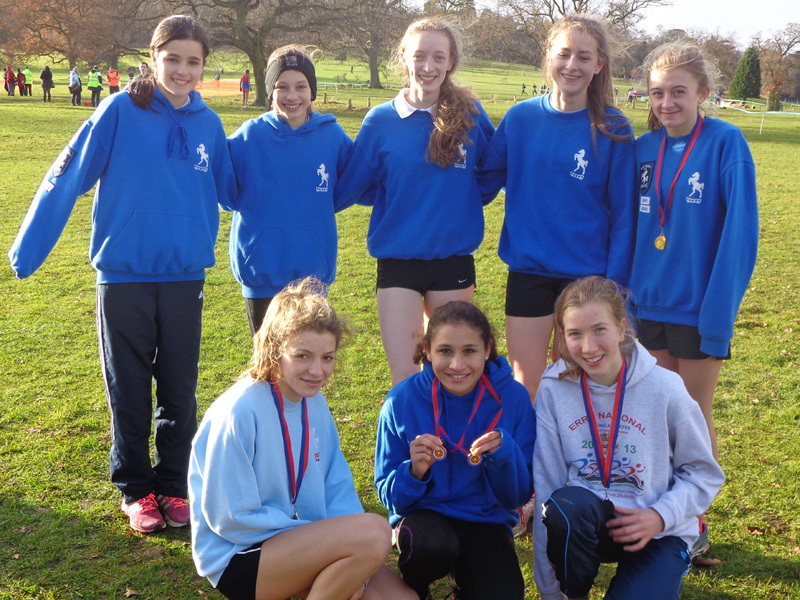 Kent won the team race in the under 15 Girls race at the South of England Inter-Counties, 14 December 2013. He was born in Maidstone, Kent. There are several reasons Frank Sando stands out in my memory. As a boy of 12, I saw Frank Sando emerging from the changing rooms at the 'Old' White City Stadium in 1952. I asked him if I could have his autograph for my little book but an official ushered me away. Frank was quite annoyed with that and told him not to do that and, signed my book readily! From the age of 6 to 26 I lived near the extension of Hampstead Heath and, when out for a walk I read a notice on a Hampstead Garden Trust hoarding about of local events and, one of those was the Southern Cross Country Championships (Over 10 miles) at Parliament Hill Fields, Hampstead Heath that Saturday. I had never seen a big cross-country before. As I was a young boy I was intrigued so, I decided to go and watch that. End result was the Stan Eldon won the senior race from Mick Firth, of the very successful South London Harriers club and Frank Sando third. Frank ran for Aylesford Paper Mills. Years later I met Frank Sando at the Kent Veteran cross-country Championships several times, as he was officiating and I was writing a report on the event. I interviewed Frank for 'Athletics Today' in a City pub in the lunch hour in 1991..I found him a modest and quiet man. One must remember that he twice was the ' International' cross-Country Champion, twice 'National' cross-country Champion, a European bronze medallist, Olympic finalist and Commonwealth medallist. About Frank Sando, Mick Firth, who came second in that first 'Big' cross-country race that I saw, had this to say about Frank only a few years ago:- " I still rank Frank Sando as one of the greatest cross-country runners. Admittedly he is from my era, but he first ran in the senior team as a junior. He ran nine consecutive years when he was in the first nine in the 'National' . He could have carried on doing that, but he retired (32). 'I can remember running in the Birchfield Floodlight meeting. I thought I had the race sown up, and Frank saw me relax and he got me right on the line. He is a very astute person as well "I did not pass you before because I thought you would see my shadow cast by the floodlights. A very clever guy, with a wonderful sense of humour as well." I remember hearing the commentary on Frank's European track 10,000 race on the 'BBC' radio (1954:- Bern. 1 Emil Zatopek (CSR) 28:58.0; 2 Jozef Kovacs (Hun) 29:25.8; 3 Frank Sando (GB) 29.27.6, 4 Herbert Schade (WG) 29:32.8; 5 Franjo Mihalic (Yug) 29:59, 6 Peter Driver (GB) 30:03.6- out of ten in Final). The Olympic 10,000 in 1952 in Helsinki was extraordinary for Frank as he ran much of the race with one shoe on! One of his shoes was wrenched off his foot in the very first lap. I remember there was a picture of him after the race in the News Chronicle ' holding up his shoe. Not only did he come fifth but he broke the British record in a time doing 29:51.8. The winner was Emil Zatopek in 29:17.0 from Alain Mimoun of France.In the AAA's 6 mile before that Gordon Pirie won from Fred Norris and Frank Sando. At Helsinki Pirie tried to go with the early pace of Emil Zatopek and Alain Mimoun and paid a heavy price. Sando was moving into the first half dozen on the first lap when the accident occurred. ' Posti of Finland (who came fourth) put his spike in my shoe and took it off in the first lap, and I had a choice: to drop out or run on. It was too early to drop out, so I ran on. Afterwards my toes were all raw, but I ran three days later so it was not that bad." As Frank Sando did achieve the double of 'National '& International 'World' cross country Championships in 1957 it would interesting to see how he approached those. What then was his training at the time " 10 miles on Sunday, 5 on Monday, 7 miles fartleck on Tuesday, 3 miles of ordinary running on Wednesday, 2 miles of fartleck Thursday; rest on Friday, Race on Saturday. “Average miles a week 45.' I knew what I was prepared to do. If I ran more than 45 minters I used to get fed up, and that was the amount of time I would spend out training. He retiring from racing at 32. “He gave a solid reason for that " . I started working in my job in London as a civil servant getting home late to be with the family and there was not enough time for training. He appreciated thing were very different these days, with the money in athletics and with more pressures because of that and where athletes run and how they apply themselves to racing.
' I think I can say I was glad I ran in my day rather than today, " he said.